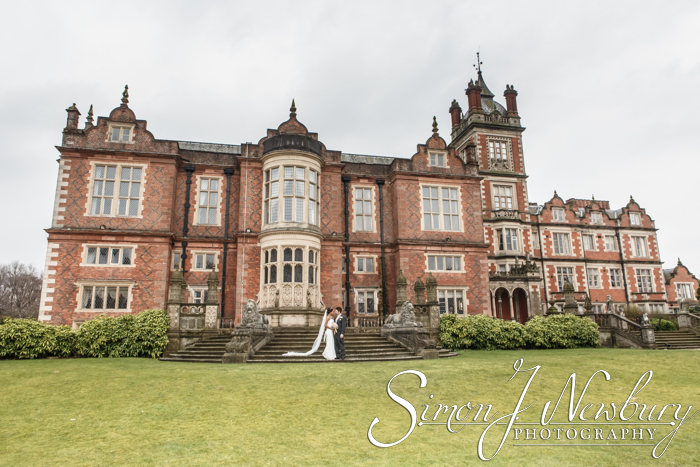 We were back at the stunning surroundings of Crewe Hall for the wedding of Phinit and Glynn in the Drawing Room. 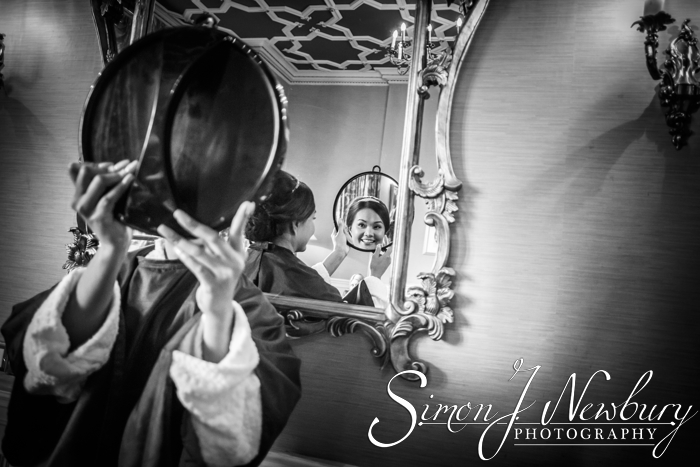 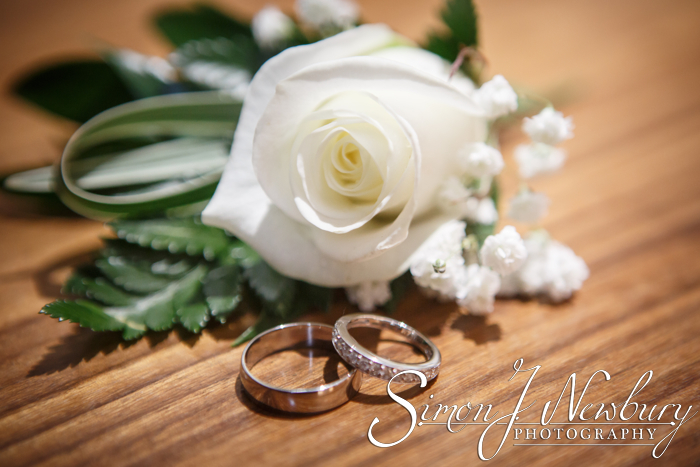 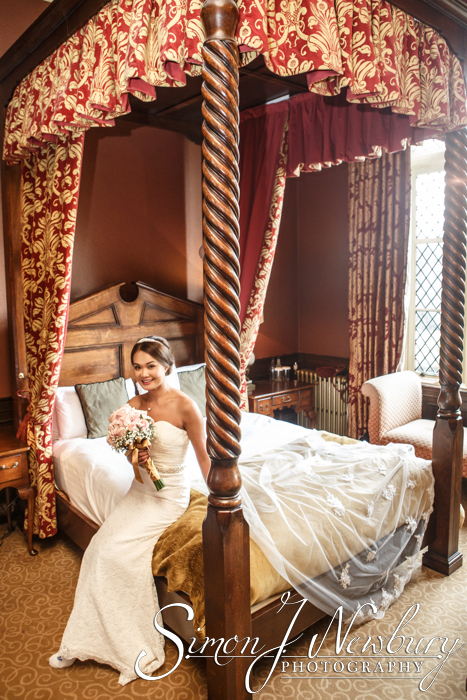 Ahead of the ceremony the bridal preparations were in the Royal Suite. 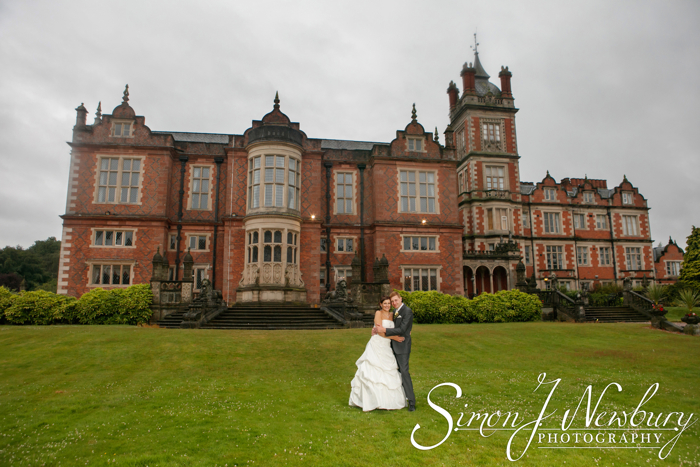 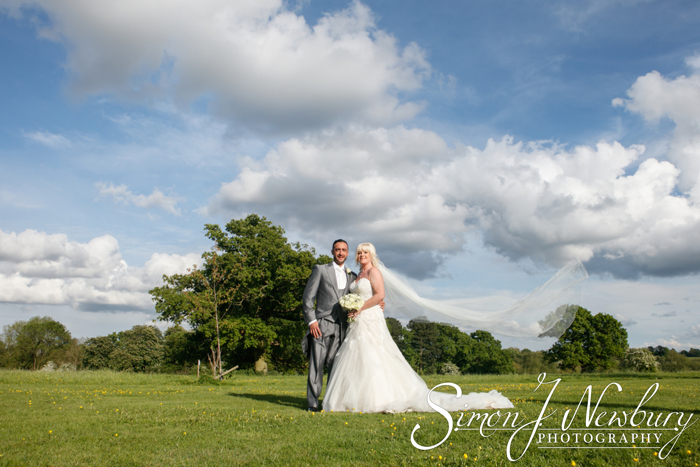 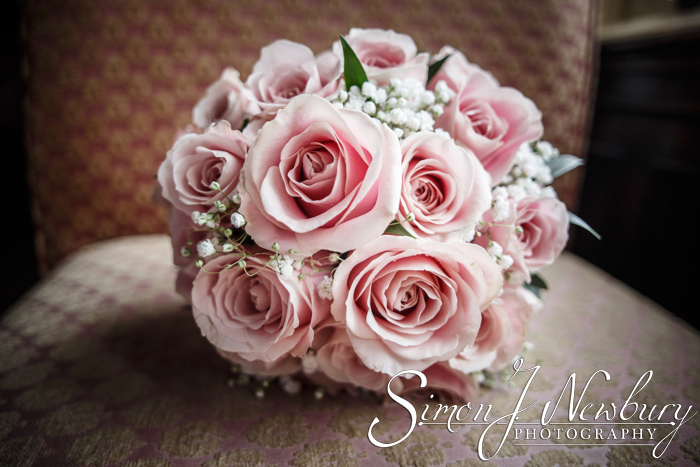 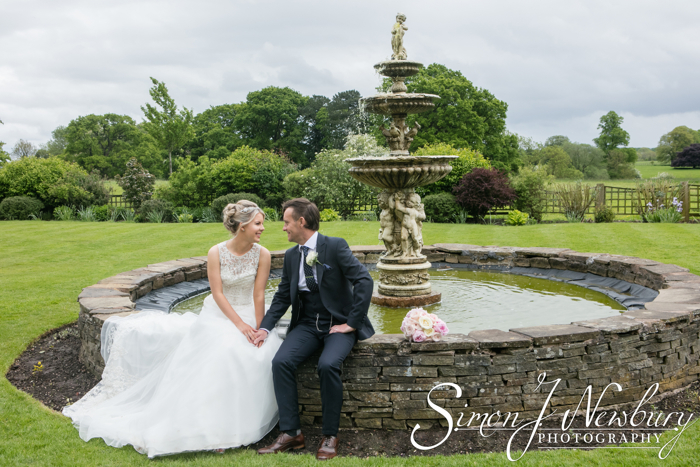 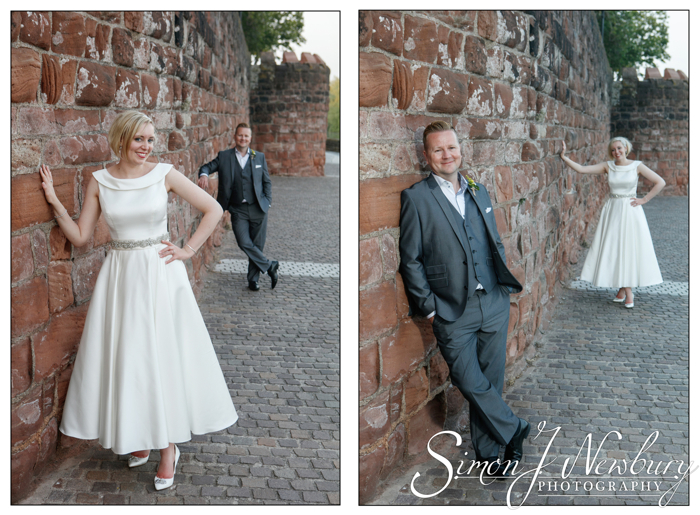 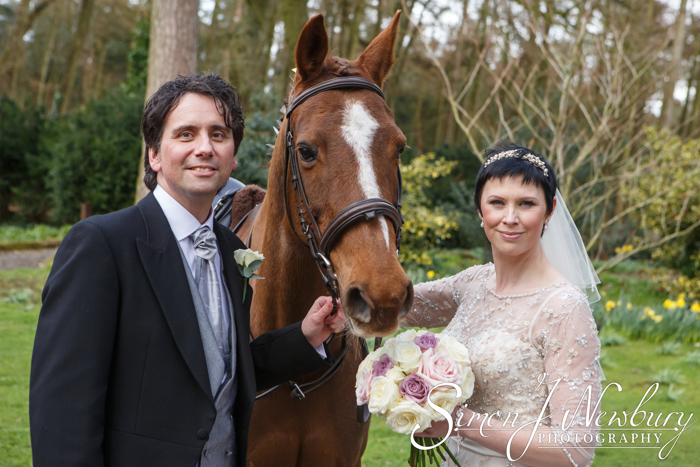 Tina was with the bride, Phinit, while Simon was with the Groom who also got ready in the hotel at Crewe Hall. 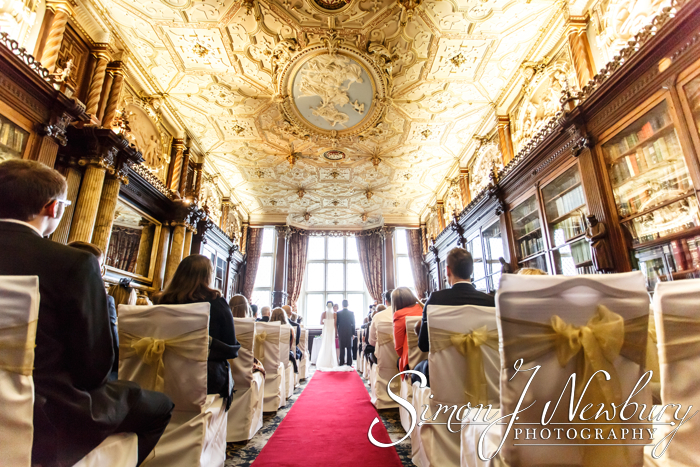 The wedding ceremony was held in the Library Room which looked very special laid out for the wedding. 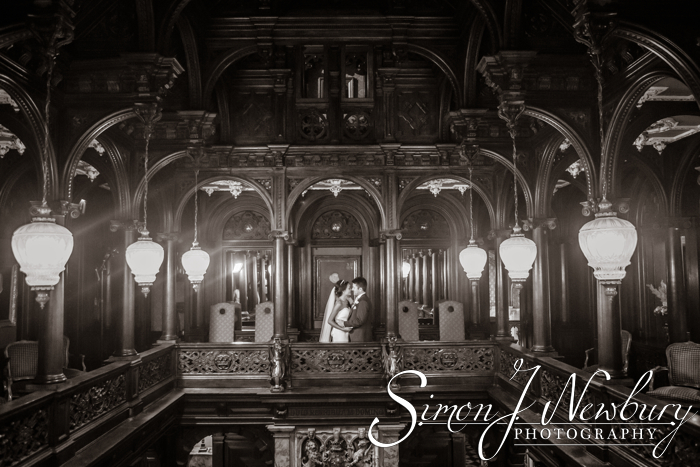 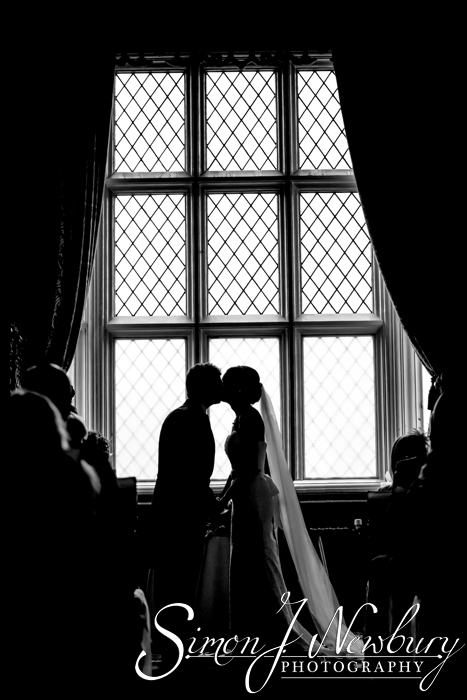 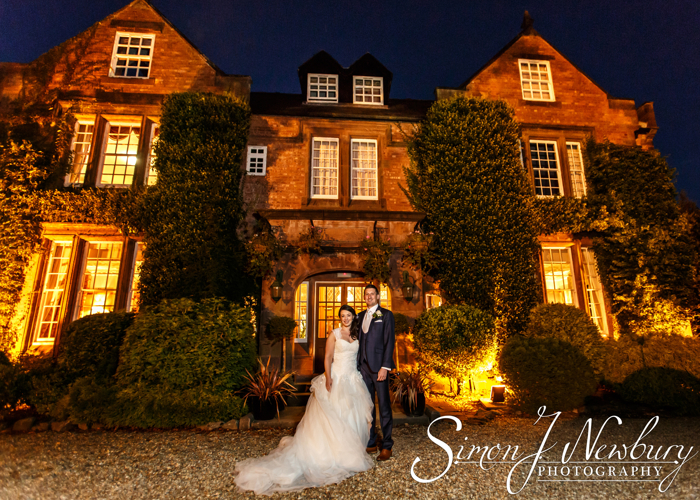 With the two photographers we were able to capture photographs from the front as well as photos down the aisle, allowing for some great silhouettes against the large leaded windows. 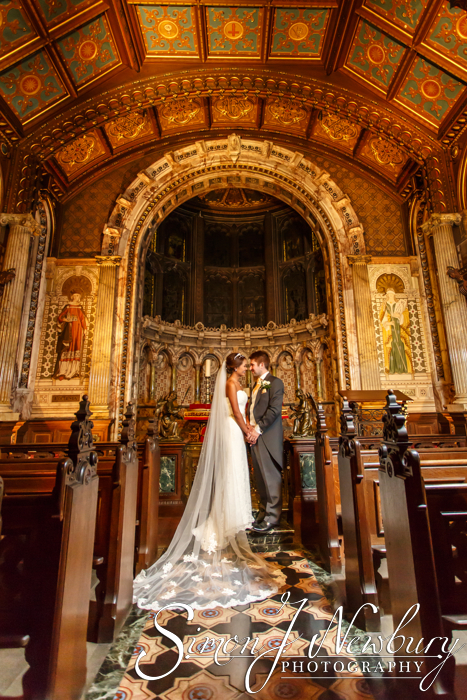 Unusually, the bride and groom managed to switch positions after sitting for the readings! 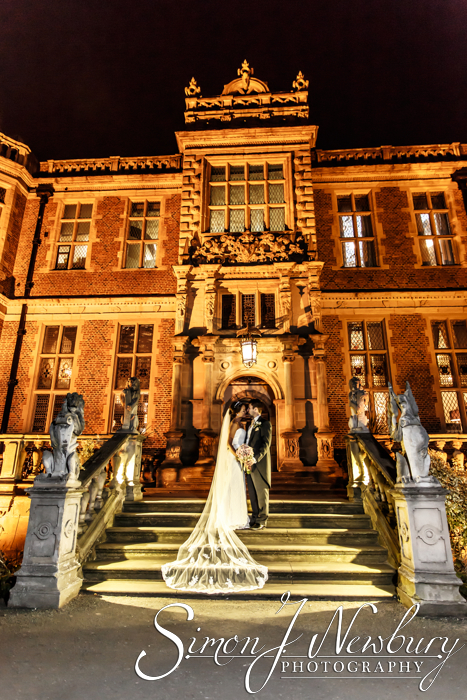 After the ceremony the drinks reception was held in the Hall of Pillars, complete with roaring fire. 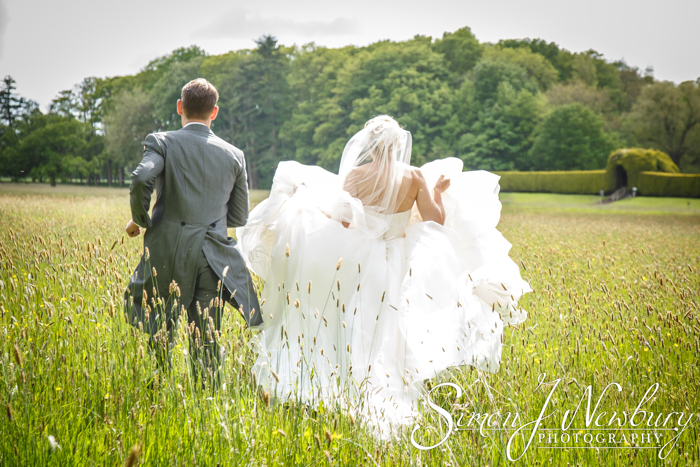 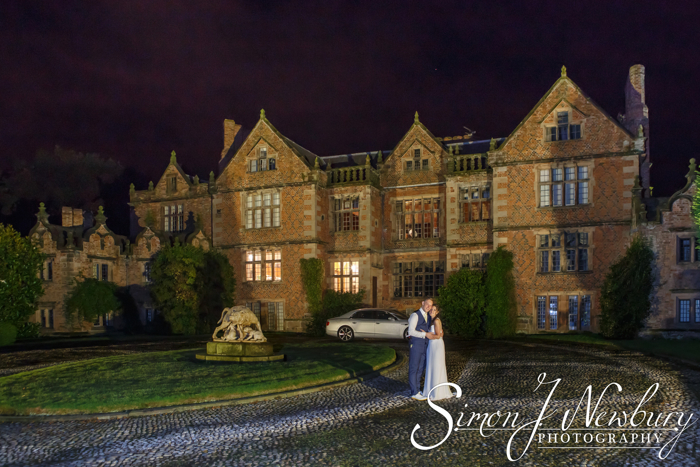 After the drinks we headed to the back of Crewe Hall for the confetti throwing and some family and couple photos. 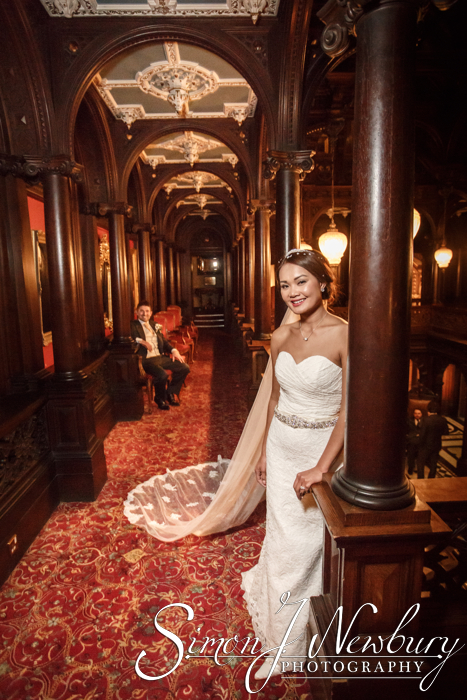 Ahead of the wedding breakfast we did the full group shot in the Hall of Pillars. 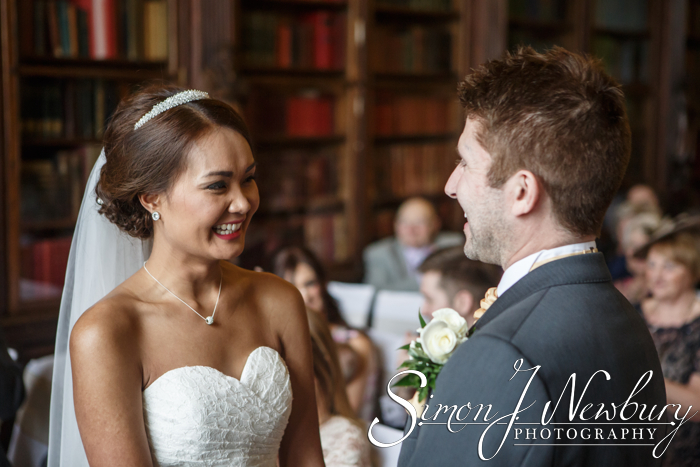 The wedding breakfast was held in the Drawing Room ahead of the speeches, including the most unusual Best Man’s Speech. 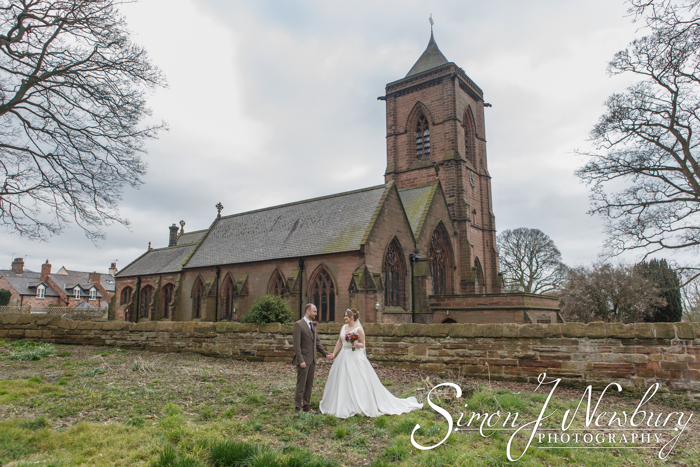 Afterwards there was some more time for photos so we got some lovely photos in the chapel before a quick set of photos at the front of Crewe Hall which was now illuminated after sundown. 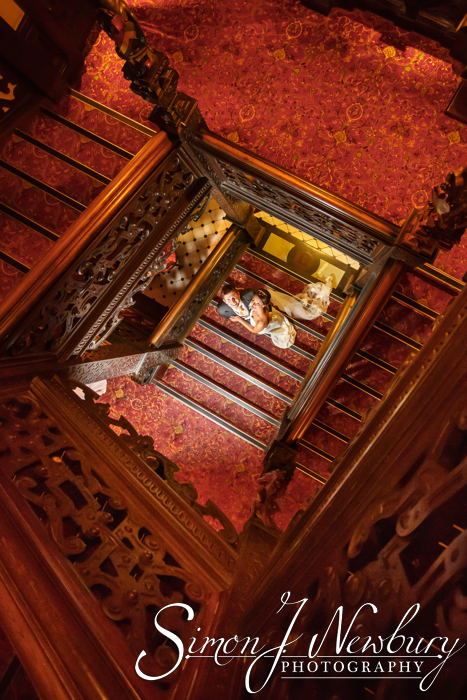 Back in the warm we were able to get some photos around the Hall of Pillars and on the stairs ahead of the evening reception. 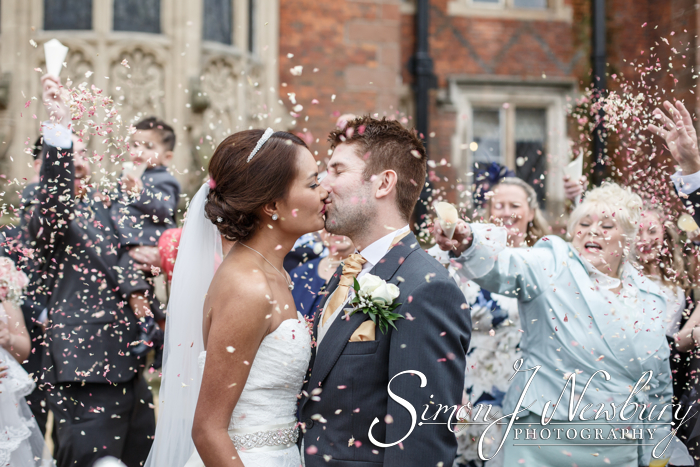 The cutting of the cake was followed by the first dance.